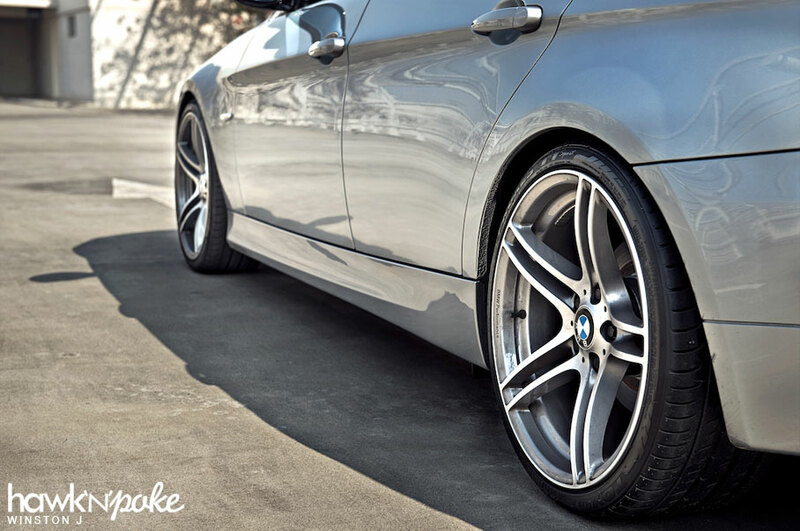 Concave wheels have become extremely popular these days. Emerging wheel companies rely on them to create outstanding offerings, while the established ones have updated their line up with more alluring concave designs. 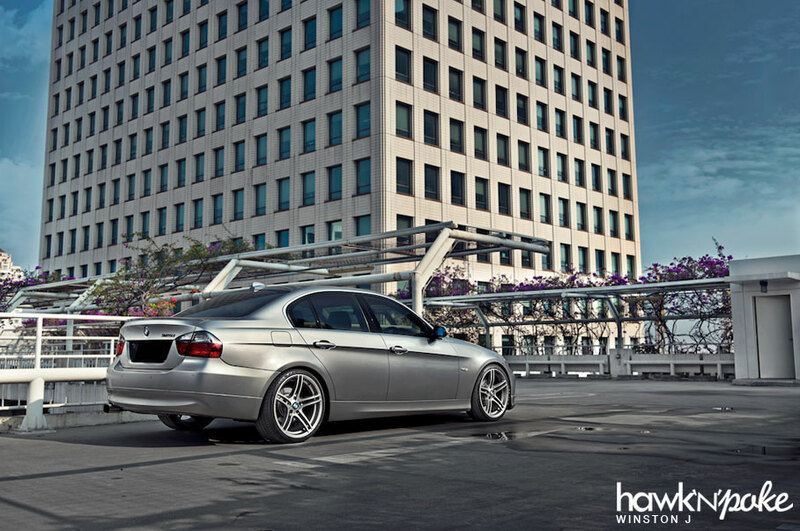 Even OEM has now been offering concave designs for their wheels, like the BMW Performance 313 wheels you’re looking at right now. Doesn’t this whole concave trend intrigue you? How did it become so popular in such a short time? Who actually ‘invented’ the whole concave trend that has replaced the love for wide lips in the industry? 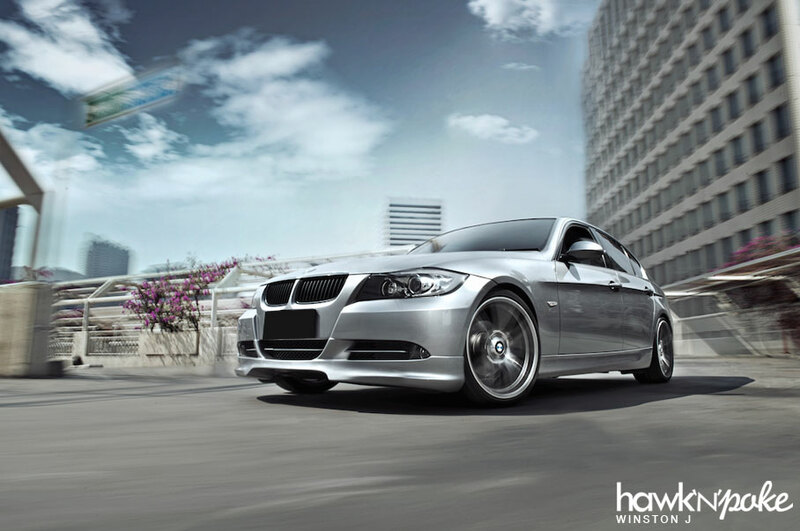 The fact is, concave wheel designs have already existed in the automotive industry far longer than you might have realized. Take a look at the stock wheels of Lamborghini Diablo VT, Chrysler Crossfire, Dodge Viper, they are all actually concave in a way. Even before the craze over ADV.1, PUR, COR, Vorsteiner and the like, JDM Work and Volk wheel manufacturers have actually had so called ‘GTR face’ wheels (TE37, CE28, GT-C, etc.) which are concave in design. However, it wasn’t until recently that the concave design was ‘reinvented’ and marketed under huge influence of the exotics image. Take a look at ADV.1, the guys behind the company stood still after their claim of being the ones who sparked the upmarket concave wheels trend. 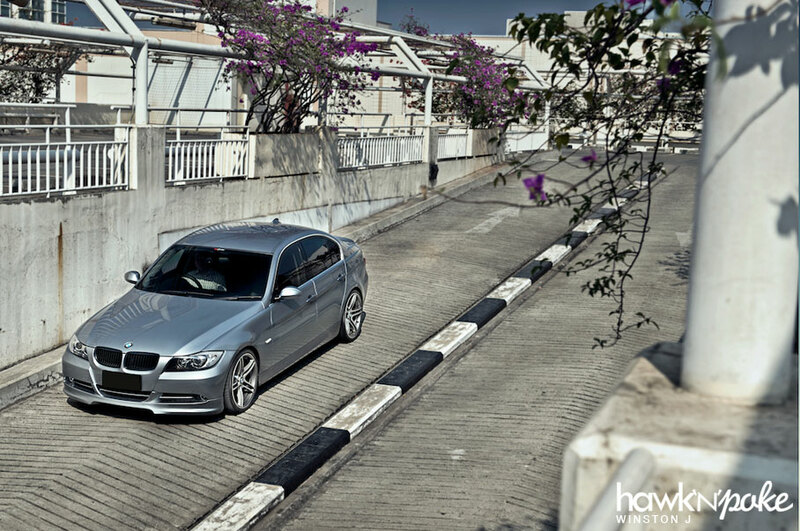 Getting back to Richard’s E90 we have here. Richard decided to keep things fairly safe in terms of modifications. 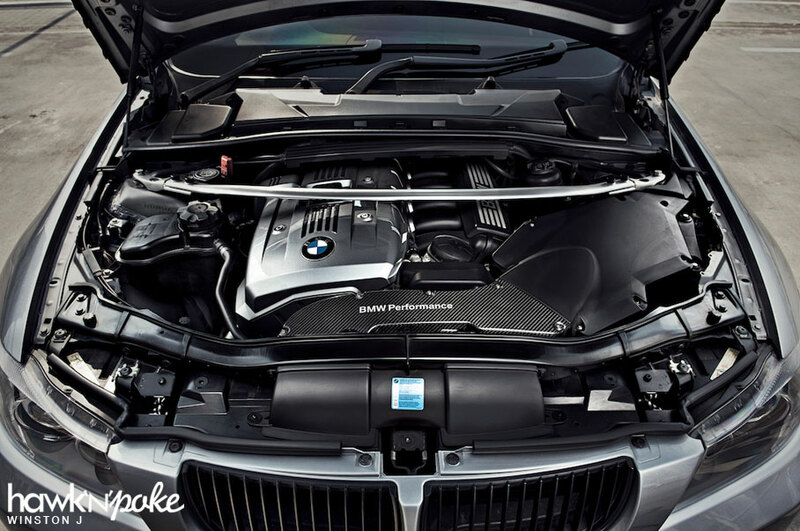 BMW Performance aftermarket parts can be found throughout the car (exterior, interior and engine parts) with ‘factory-fit’ finishes that ensure 100% compatibility and reliability. 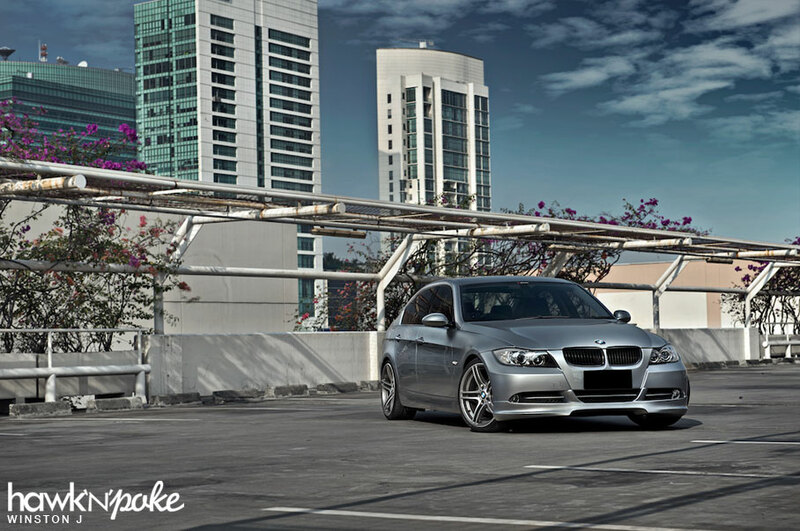 Personally, I believe that the look of those BMW Performance 313 wheels are the most appealing part of the car. Its design is conservative and yet contemporary at the same time. I could imagine looking at these wheels 10 years from now and would still consider them to be sleek. Wheels that are too ‘trendy’ and ‘extreme looking’ will eventually be much easier to fall on the ‘outdated look’ once the trend changes (picture some huge, wide, chrome-lipped wheels with spinners; are you still going to drool after those these days?). It is wheels like these that are going to be able to withstand the influence of time.